Steelers general manager Kevin Colbert says the team is not interested in trading wide receiver Martavis Bryant (Twitter link via Dale Lolley of DKPittsburghSports.com). Colbert indicated that he received calls on Bryant from other teams based on media reports, but he intends to keep the 26-year-old. Bryant, of course, is one of the more dynamic wideouts in the NFL, but Pittsburgh could conceivably be growing tired of his off-field antics. The Bills, for one, reportedly attempted to trade for Bryant last season, but it sounds as if the former fourth-round pick will return to the Steelers in 2017. He’s under contract for one more year at a base salary of $705K. Veteran cornerback Joe Haden is not in danger of being released despite his relatively high 2018 cap charge, according to Jeremy Fowler of ESPN.com. Haden, who was excellent during his first season in Pittsburgh, is due a $9MM base salary next season and will count for nearly $12MM on the Steelers’ cap. Given that the Steelers are pressed for cap space, Haden had been speculatively mentioned as a candidate for release. Instead, Pittsburgh could approach Haden about reworking his contract down the line, but no machinations of that kind are underway at present. The Steelers have already started “doing their draft due diligence” on Boise State linebacker Leighton Vander Esch, Fowler tweets. In some mock drafts, analysts have the Steelers targeting the athletic tackle machine at No. 28 overall. Vander Esch is now expected to come off the board earlier than many project, and has even been compared to 2018 Hall of Famer Brian Urlacher. He’s reportedly been running the 40-yard dash in under 4.65 seconds, and could officially beat that number at this week’s combine. After enduring one of the more crushing regular-season losses in recent memory, the Steelers now may need to win out to merely secure a bye in the AFC playoffs. They will have a key weapon back in Week 16 to help them on this journey. Joe Haden confirmed he will return for his team’s Christmas Day game against the Texans, per Ed Bouchette of the Pittsburgh Post-Gazette. Haden was close to playing against the Patriots, Bouchette notes, and labels himself at about 85 percent as of Wednesday. The Steelers did not place Haden on IR; he’s been recovering while on the 53-man roster. The standout cornerback missed the past five Steelers contests due to a broken fibula. Prior to that, he’d delivered quality work for his second NFL team. Going into Week 16, Haden ranks as the No. 36 corner, according to Pro Football Focus, after nearly 500 snaps of work. 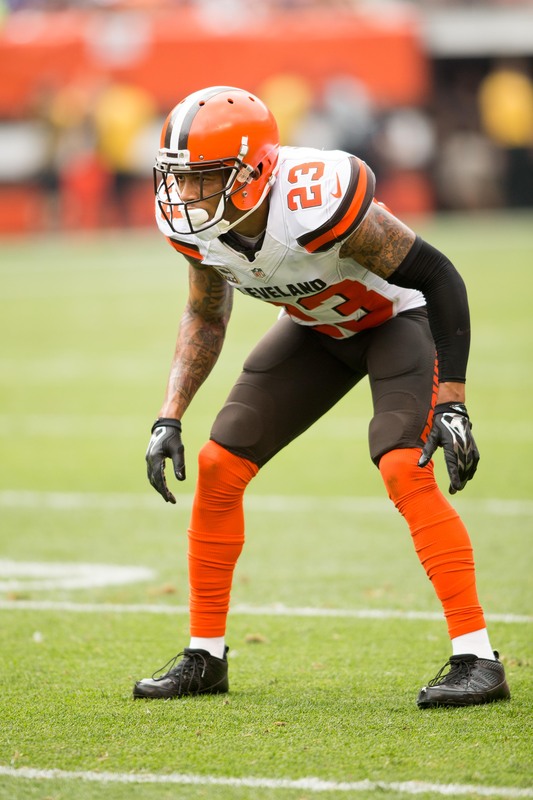 Haden figures to augment a pass defense that’s suffered without him. In the nine games Haden played, Pittsburgh’s defense allowed barely 181 yards passing per game. In the five contests without him, that number shot up to 251.6. Only eight touchdown passes occurred against the Steelers during the games in which Haden was healthy, Bouchette notes, but nine have come in the past five games. The Steelers sit 12-3, but the 11-4 Jaguars have the head-to-head tiebreaker in the event of a Pittsburgh slip-up. A trip to Houston and a visit from the winless Browns represent the final two Steelers regular-season assignments. The eighth-year corner has never played in a playoff game. Josh Gordon‘s long road back the NFL is almost complete as the team is likely to reactivate him later in the week, according to Mary Kay Cabot of Cleveland.com. Cabot reports that the team has the ability to activate him to the roster today, but it unlikely to do so in order to hold onto a roster spot. The talented wide receiver is expected to see his first regular season action in two years when the Browns take on the Chargers on Sunday. Gordon has made his mistakes in the past, but has caused no such problem since he returned to practice last week. With the Browns potentially finishing the year as one of the league’s worst teams ever, being able to see an impact player return is certainly some much needed good news. He’ll likely start alongside fellow wideout Corey Coleman should everything go according to plan throughout the practice week. In other Browns news, head coach Hue Jackson said after practice today that the coaching staff will dicuss whether to replace rookie kicker Zane Gonzalez after his struggles continued in Week 12, reports Cabot in a separate tweet. However, Jackson did note that Gonzalez did well to bounce back and convert two field goals after he missed an attempt from 43 yards earlier in the game. Parting ways with the rookie kicker would represent another draft blunder as Cleveland used a seventh round pick in order to bring in the 22-year-old from Arizona State. The Steelers managed to hold off the scuffling Packers on Sunday night football yesterday, but were still clearly exposed in the secondary by some talented playmakers and a backup quarterback. Part of the reason for the offensive display could be due to the absence of veteran cornerback Joe Haden. While the team does expect the former Brown to return, it’s unlikely that the defensive back will see the field for a few more weeks, according to Jason La Canfora of CBS Sports (Twitter link). La Canfora did add that the Week 13 status for rookie wide receiver JuJu Smith-Schuster remains a little more up in the air at this point. Terrell Suggs is currently playing in his 14th year in the league, though the 35-year-old is still a more than a capable puss rusher coming off the edge. However, while Suggs’ play has kept him as a valuable member of the defense, the veteran knows that his career could be winding down this season, according to Jamison Hensley of ESPN.com. Hensley notes that cutting Suggs this summer could give the Ravens an extra $4MM in cap space, but despite the harsh realities of the league Suggs knows that ultimately the NFL is a business. “I would really love to be in one place my whole career. Not many players can say they did that,” Suggs told ESPN before his 207th game for the Ravens. “But I also understand this is a business and that might not happen. I’m pretty much making my peace with it now. I’m preparing myself for it just in case. What will be, will be.” Suggs does still lead the team with 7.5 sacks and has forced three fumbles, so it should be noted that actually getting rid of the veteran edge defender could make the Baltimore defense worse. The team has made a point in drafting three young pass rushers in the last two seasons, including Matt Judon, Tyus Bowser and Tim Williams. Nevertheless, Suggs can only play well on the field and let the chips fall where they may at this point. The Bengals have avoided a suspension to one of their key defenders in linebacker Vontaze Burfict, according to Jim Owczarski of Cincinnati.com. The energetic defender was flagged for unnecessary roughness for hitting a defenseless receiver in yesterday’s win over the Browns. Burfict has made a number of boneheaded plays throughout his career, which include him getting ejected for making contact with an official and for his unsportsmanlike penalty against the Steelers earlier in the season. He’ll avoid game punishment here, but a fine is certainly possible. Steelers cornerback Joe Haden suffered a broken fibula in today’s victory over the Colts and will be sidelined indefinitely, head coach Mike Tomlin told reporters, including Ed Bouchette of the Pittsburgh Post-Gazette (Twitter link). However, Haden only has a “slight” fracture in his leg, and should be able to return following a three-week absence, tweets Mike Florio of Pro Football Talk. While the most recent news on Haden’s status is positive, his loss will be felt in the Steelers’ secondary no matter how long he’s out. Haden, who agreed to a three-year deal with Pittsburgh after being released by the Browns earlier this year, has played nearly every defensive snap for the Steelers in 2017 while grading as the league’s No. 33 cornerback among 117 qualifiers, per Pro Football Focus. The 28-year-old Haden has been excellent while defending mostly deep passes, as he ranks fourth in average air yards of passes against, according to Football Outsiders. With Haden unavailable, the Steelers will likely turn to veteran William Gay to start on the outside opposite Artie Burns, with Mike Hilton remaining in the slot. Coty Sensabaugh, who has yet to play a single defensive snap, could also see more time on defense, while rookie Cameron Sutton — who is close to returning from injured reserve — may contribute down the stretch. If Pittsburgh wants to look outside the organization for another defensive back, Vontae Davis — recently cut by the Colts — could be one option. Contending teams are reportedly interested in adding Davis for the stretch run, and while the Steelers aren’t known to have contacted Davis, they’d make sense as a potential suitor. Of course, Davis’ injury status and poor play could dissuade general manager Kevin Colbert from inking the veteran. The NFL postponed the Dolphins–Buccaneers‘ Week 1 game until Week 11 due to Hurricane Irma (Twitter link). Both teams had byes that week, making this rare postponement easier. Both south Florida teams will now play 16 straight games. Here’s the latest from several other AFC cities on Wednesday morning. After a joint review by the NFL and NFLPA, the Patriots were determined to have followed protocol regarding a potential Tom Brady concussion last season, the sides said in a statement (via Ben Volin of the Boston Globe, on Twitter). Brady’s wife, Gisele Bundchen, said earlier this offseason her husband suffered a concussion last season that wasn’t reported by the Patriots. Brady issued a vague response when asked about this in July, but the quarterback turned over his medical records during this investigation — one that examined film from all 19 Patriots games, along with reports from unaffiliated neurotrauma consultants and concussion spotters assigned to those respective games. While the NFL isn’t claiming Bundchen is lying about the concussions, Volin tweets this examination merely determined the Patriots followed protocol. This matter appears to be closed, from the league’s perspective. Tyrod Taylor‘s agent contacted the Browns, Jets and 49ers prior to the Bills agreeing to a revamped deal with their incumbent starter, Vic Carucci of the Buffalo News reports. After those discussions, Carucci reports Taylor’s camp decided it was best to agree to the reworked Bills pact. The three teams possessed some degree of interest in Taylor had he hit free agency, but it evidently wasn’t enough to dissuade Taylor from staying with the Bills on a contract that now pays him $10MM less over the next two years than it would have under the previous terms. “Maybe a couple less touchdowns, but as far as yardage, I did what I did to get that deal in the first place,” Taylor said, via Carucci, about the adjusted contract. “So whether they thought that I didn’t deserve it, I don’t know. That’s up to them.” Taylor threw for just 12 fewer yards last season (3,023) and rushed for 12 more (580) than he did in 2015. Although, the quarterback played in one more game last season than he did during his first year as Buffalo’s starter. The Texans‘ deal with cornerback Marcus Burley is for two years, Aaron Wilson of the Houston Chronicle reports. A former sixth-round pick, Burley’s played in 38 games during his three-year career. After two seasons with the Seahawks, Burley played with the Browns in 2016. Cleveland cut him last week. The Colts worked out offensive lineman Emmett Cleary, Field Yates of ESPN.com tweets. The Cowboys cut Cleary on Saturday after he played in 13 games for them last season. Newly acquired Steelers defensive backs Joe Haden and J.J. Wilcox account for a combined $5.541MM in 2017 cap hits, Jeremy Fowler of ESPN.com notes. Pittsburgh now holds $11.07MM in cap space. 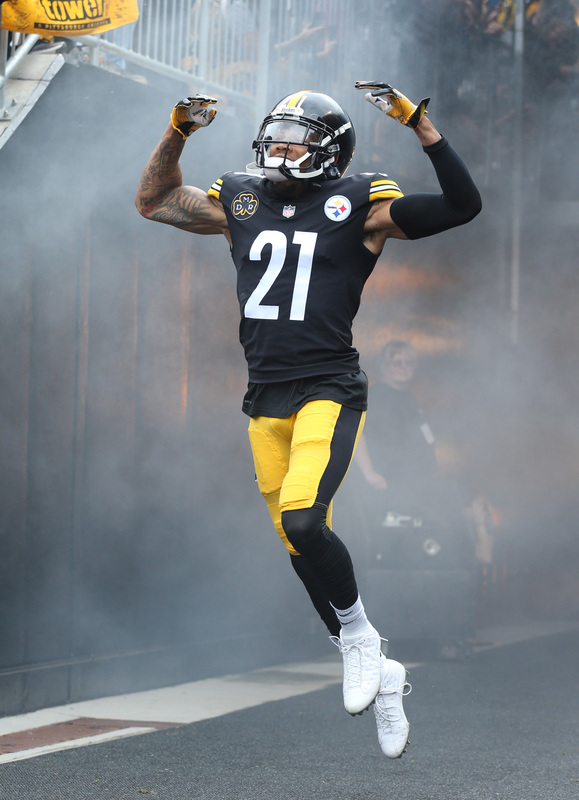 The Raiders expressed interest in cornerback Joe Haden before he signed with the Steelers on Thursday, according to Gerry Dulac of the Pittsburgh Post-Gazette (Twitter link). Haden, of course, signed with the Steelers just minutes after being officially released by the Browns, but he managed to generate an extremely fruitful market during his brief period as a free agent. A number of clubs, including the Dolphins, Eagles, Saints, Chiefs, Cowboys, and 49ers were all mentioned as potential suitors for Haden, who ultimately leveraged that interest into a three-year, $27MM deal with Pittsburgh. Oakland ranked just 25th in DVOA against the pass a season ago, and the team is already experiencing turnover at its cornerback position. Sean Smith, who inked a hefty free agent contract in 2016, has been demoted from the Raiders’ starting lineup, meaning T.J. Carrie is now playing opposite David Amerson. First-round rookie Gareon Conley is available, as well, but he was only activated off the PUP list on Tuesday. Despite earlier reports to the contrary, an Eagles source tells Jason La Canfora of CBSSports.com (on Twitter) that the team was not in on Joe Haden. The Eagles, the source claims, are content with their young cornerbacks. It’s quite possible that the Eagles were interested in Haden but were not among the finalists for him, making this all a matter of semantics. In any case, the Eagles were unwilling to approach, match, or exceed the $7MM guarantee that Haden secured in his new three-year deal with the Steelers. The Eagles will be starting a pair of 23-year-old corners in Jalen Mills and the newly-acquired Ronald Darby. Behind them, they have only one player outside of his 20s in veteran Patrick Robinson. Eventually, rookie Sidney Jones could join the active roster and provide help, but that doesn’t help to boost the group’s experience level. Tests show that Cowboys linebacker Anthony Hitchens, who suffered a tibial plateau fracture recently, suffered no ligament damage, Ian Rapoport of NFL.com tweets. That means that no surgery will be needed and that, in theory, could help to speed up recovery. In a press release, the Cowboys indicated that Hitchens likely will not go on IR. The latest projections have Hitchens missing total eight weeks of action. Doctors say that Bears wide receiver Cameron Meredith only suffered ACL and MCL damage and did not injure any other major ligaments in his knee, Rapoport tweets. Meredith is done for the year, but he could be back in time for next year’s OTAs. Now that the Packers have added Ahmad Brooks to the fold, they can be more patient with rookie Vince Biegel‘s recovery, Ryan Wood of the Press-Gazette tweets. A source tells Wood that he’ll “probably” start the season on the PUP list, meaning that he won’t count against the initial 53-man limit. Former Saints defensive end Royce LaFrance signed with the CFL’s Roughriders, Nick Underhill of The Advocate tweets.